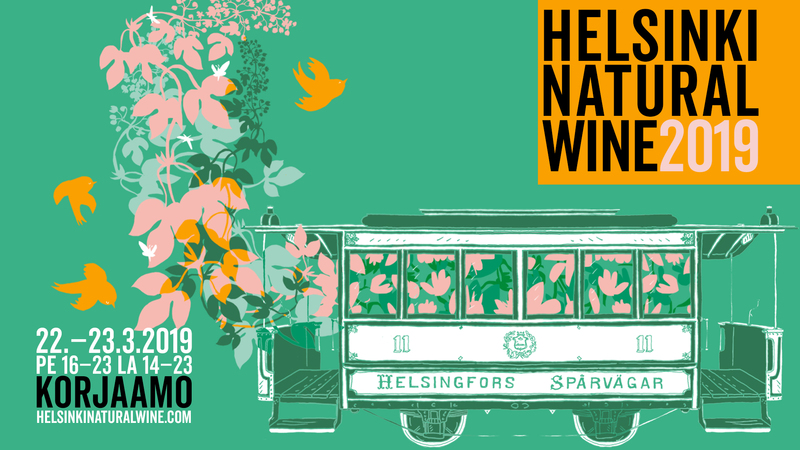 WELCOME TO THE FIRST ANNUAL HELSINKI NATURAL WINE IN MARCH 2019! WE ARE BRINGING TO YOU THE BEST NATURAL WINE & CIDER IMPORTERS IN THE BEAUTIFUL TRAM MUSEUM OF KULTTUURI TEHDAS KORJAAMO. Over 100 different natural wines by the glass, plenty of real ciders and beer (really sour ones as well) will keep you happy and kickstart the spring after the long winter. Restaurants The Way from Kallio, Sicapelle from Porvoo and Wino & Plein also from Kallio will join their kitchens to bring you delicious dishes through out the weekend. Ticket includes a Riedel wine glass and a payment card for fast service at the festival.